Can You Fill in Color on Chipped Tile? Filling in the color on chipped ceramic or porcelain tile is possible if you have the right materials. 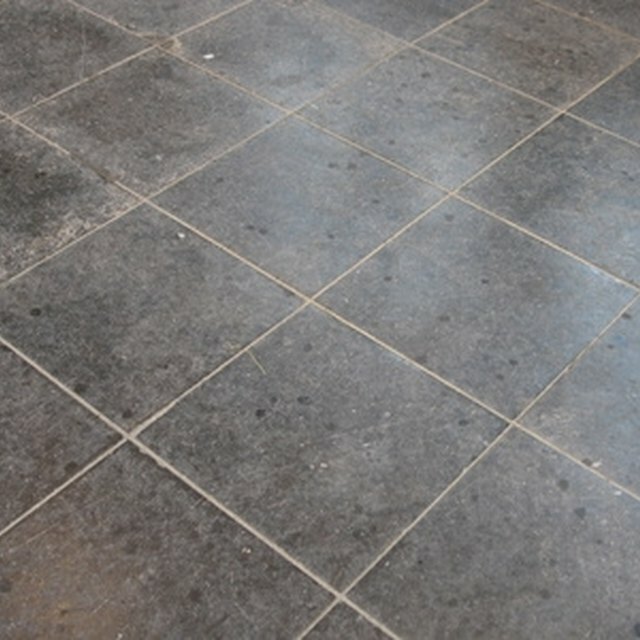 Stone or synthetic tile such as vinyl or laminate should be replaced because filling in chips or scratches is usually impossible unless you hire a professional. Take your time when filling in a chip. Allow all materials to dry completely to avoid causing more damage to the tile. Tile that is cracked or heavily scratched should be replaced, especially if the tile is next to water pipes or heating and cooling systems. To repair a chipped tile, you will need high gloss oil paint that matches the tile color, oil-based sealer and waterproof, clear marine epoxy. These materials can be found in most hardware and paint stores. You will also need toothpicks or small pieces of scrap wood and a small brush to apply the sealant, paint and epoxy on the chipped area. Replicating the tile color is important when repairing a chip, especially if the tile is installed in a visible area in your home. Bring a spare tile or color sample to the paint store so the tile color can be replicated. This may take a few days, but the end result should be very close to the original tile color. Consider replacing the tile if the color cannot be replicated. Clean the tile thoroughly with soap and water to remove dirt and debris. Allow the tile to dry overnight or use a hairdryer to dry the tile and grout completely. Failure to completely dry the tile may result in the paint color bleeding or becoming diluted by excess water. Use a small brush to apply oil sealant to the chipped area. Do not use too much sealant because this can cause the tile to appear uneven. Try to contain sealant to the chip to avoid getting sealant on other parts of the tile. Allow sealant to dry for at least two hours before applying paint. Apply a small amount of paint on the chip using a small brush. Try to avoid getting paint on areas other than the chip. You may need to apply more than one coat, depending on how the tile absorbs the color. Allow paint to dry for at least two hours before applying a second coat. Allow paint to dry overnight before applying epoxy. Follow the instructions for mixing the marine epoxy. Use a toothpick or scrap of wood to apply epoxy to the chipped area. The epoxy makes the chipped area appear even with the rest of the tile. Allow epoxy to dry for at least 24 hours before walking on replacing furniture on the tile.